Bermuda Hundred was the landing point for The Army of the James During the Bermuda Hundred Campaign. 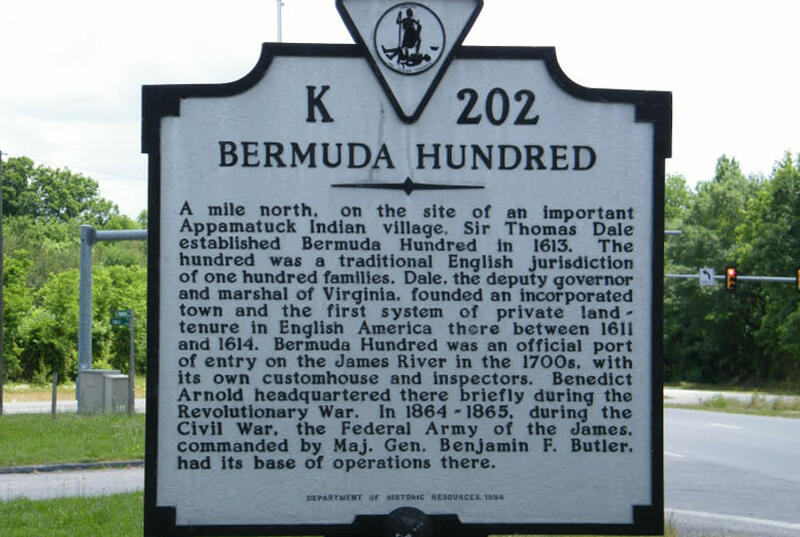 Today, Bermuda Hundred is a predominantly African-American village whose residents can trace their roots back to the earliest days of the settlement. 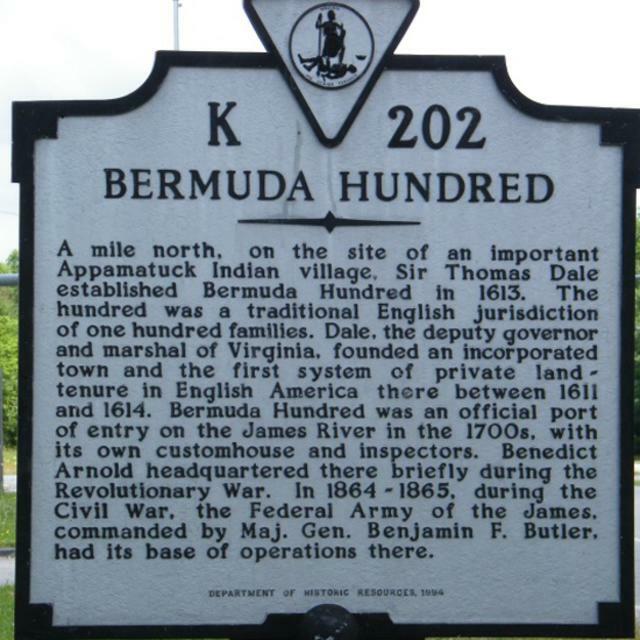 In 2006, the village of Bermuda Hundred was placed on the National Register of Historic Places and the Virginia Landmarks Register.